Dan Tolomeo Been a fan of this series for a while now. 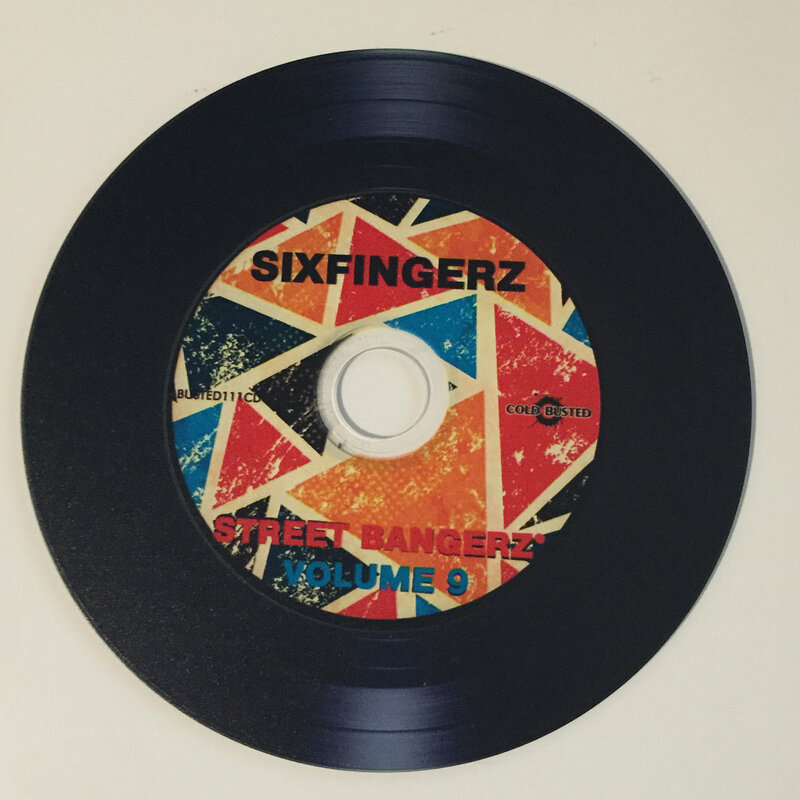 This volume by Sixfingerz doesn't disappoint! Laid back soulful beats, beautifully produced. Can't wait for the next one! 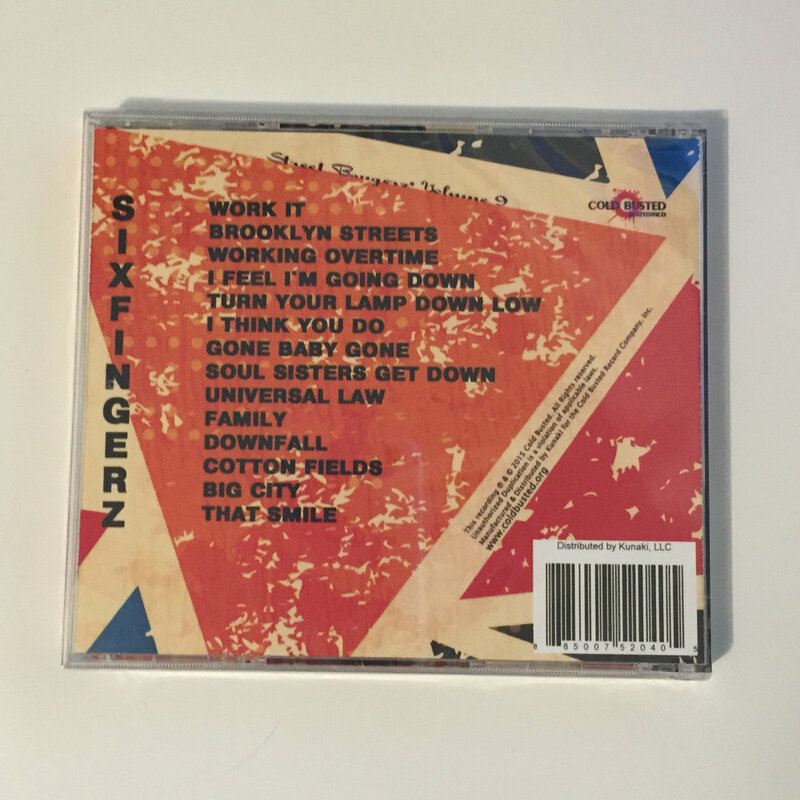 I will have to find more of Sixfingerz work in the meantime! Favorite track: Gone Baby Gone. Josh Halter Sixfingerz never disappoints!!! Do not sleep on this one people. Favorite track: Family. DosBeQuis Absolutely rad contemporary music with timeless soul; interweaved through a beat-master's melodic stories... Classic Sixfingerz sounds it out loud with this vibin' mix for real! Favorite track: Universal Law. 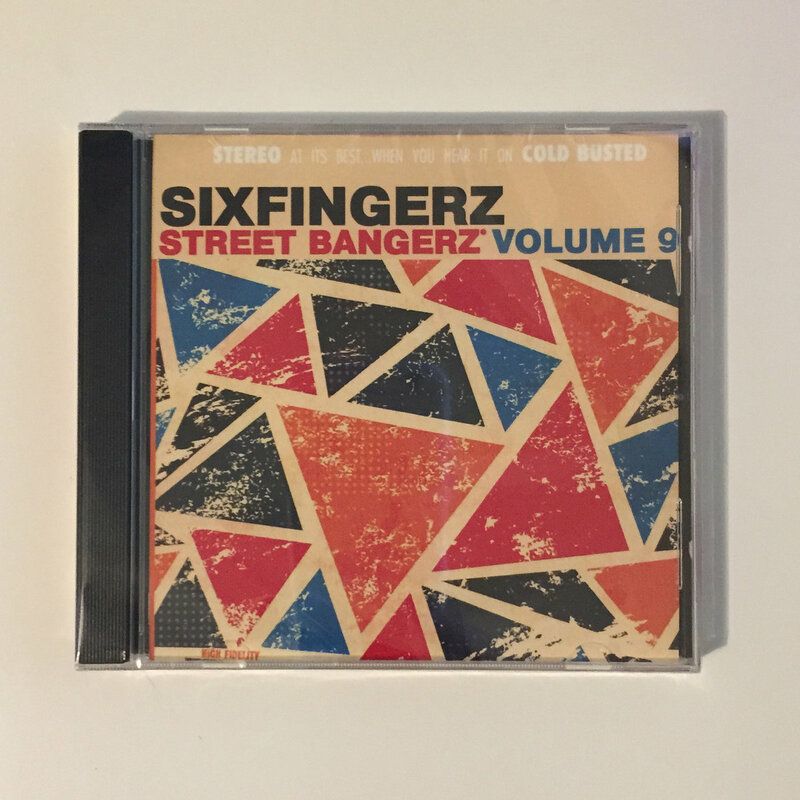 Includes unlimited streaming of Street Bangerz Volume 9 via the free Bandcamp app, plus high-quality download in MP3, FLAC and more. 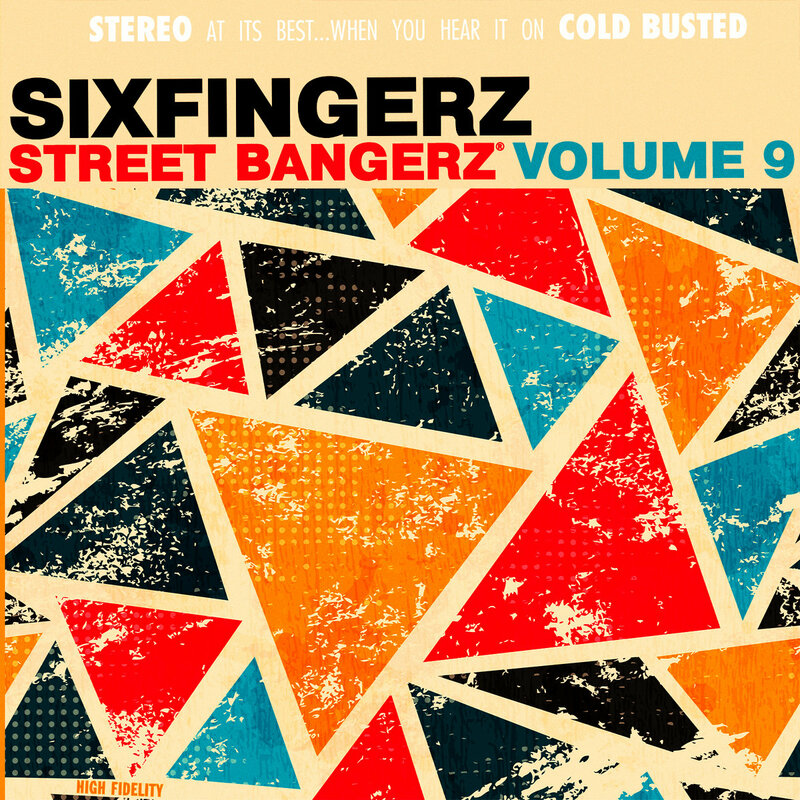 We are pleased to present another installment of our funky and soulful downtempo beat series Street Bangerz, designating Volume 9 to fourteen tracks by Sixfingerz, a Belgian producer based in Antwerp. Much of his edition has an almost instant, timeless familiarity. 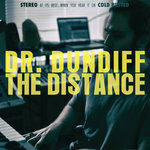 The guitars stylistically pull from different eras, the musings of instruments from far away lands excite, the rhythm section's samples and pitch manipulated vocal chops are complex, and the lo-fi effects bond together his other unique, knick-knack filled sound pallets. This is not trip hop or downtempo as some may know it, but a hyperactive and boundary-less take on the formats. Be sure to give this a listen. Aja Allsop (Ketch A Vibe Radio Show - weekly on The Coast Radio, Samurai FM, RP Radio, others): Digging the beats & breaks overall it's wicked people !!!!! Frank (All Good Funk Alliance) (Funk Weapons / Super Hi-Fi / Fort Knox Recordings): I Think You Do is hot. Clairvo (Tilos Radio FM90.3 / Freelance Reviewer): quite a happy and through by through joyful product! DJ Pippi (Aluminium Records / Valenostrum): Interesting Stuff..Cool! Zamali (Timewarp / AudioTracker (music blog)): Solid release. Love all the beats. Strong funky vibes all over. Respect. Green Street (Cold Busted / Nocturnal Recordings / Str8 Busted Podcast): off the chain! Barry King (Starpoint Radio / Nuwave Radio): soul sista !! Doc Proof (Funkanomics / FM4): Dope and funky beats, totally in love with the Street Bangerz series !! Ohmega Watts (Ubiquity Records / Lo-Fi): the multi-layered sampling, the chops and overall compositions and drums make some serious noise, as the title implies, they're street bangers with a plethora of influences fused right! Mojo Rising (Cold Busted / Journees Music / F.A.M.I.L.Y. ): Magic beats all the way around. Mat Gostelow (tOtALcULt) (Cult Music / NuFunk.net / RAMP FM): Wonderful, unusual and original - melodic and soulful with a brilliant blend of old and new. Recommended. Flashbaxx (BaxxBeatMusic): nice beat science here. thx. Robert Jan Meyer (Minus 8) (Compost / Stereo Deluxe / Radio 1): Say hi to Marva Whitney! Quincy Jointz (Timewarp Music Radio Show / Radio 42.com / netmusique.com / Ibiza Global Radio): Awesome stuff. Will definitely play out "I fell I´m going down", "Turn your lamp..." ans "Soul sisters". Eric Tchaikovsky (Night Light Sound System): Superb! Trotter (Royal Soul Records): Dig it !! Keep up !! Mason Rothert (Below Zero Radio Show / NuDIsco Indie Dance & Jet Set Radio on iHeartRadio): oh yea - this is what I am talking about. Proper, funky and fun. Jamie Topham (CD Pool | JT Music Media Man | Summer Soulstice): Loving this 6 tracker. 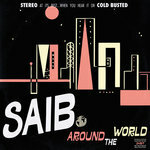 Stickybuds (Goodgroove Records / Baffin Island Beat Brigade / Big M Bootie / Pop N' Lock): I think you do is a beauty tune! xyddhartha (Digital Gathering radio show (weekly on TheMovement.in & toa.fm)): Just the sounds required for an alternative set. Corin Arnold (ed2000) (Tresor / Solar Lounge / BLN.FM / Dangerous Drums @ Tresor / Stop The World @ Fiesere Remise): full support,. i am trying to catch as many dls today , hens´ce thew ratrher unsoulfull generic responses. all trax will be loved and treated like they are loved :-) thanks for all the tunes ober the years. any charts, playlists or extra comments i will send tghem over. Brandon Bass / Luv Boutique (Hub City Music Group / Aspect Ratios on KMET Radio Denver): As if there was any question this would be good. Cold Busted... always proper! Sam Hopkins (AccuRadio (Head of Programming)): Soul Sisters Get Down and I Feel I'm Going Down are both stunners - love the transition to double time at the end of Soul Sisters - and I'll get both playing here ASAP! DJMarkCooper (Bedford Falls Players / Cosmic Moonbase / Solid Gold / Bloxbox Records / Endemic Digital): Excellent!! 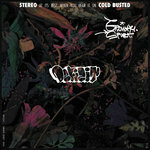 Carlitos Corcho (Chang) (Red Bull Music Academy, Chang Bang): really sick! Adam Warped (Whiskey Pickle / Strange Days on Hypersonic Radio): Really feelin' "That Smile" thanks! Genetic druGs (Cyberjam Show: WDR Radio (Cologne) /RBB Radio (Berlin) / Funkhaus Europa): Future Disco ! super fresh ! Black Mighty Wax (Irma Records / weekly radio shows on Gru Radio 93.3 FM + Radio Città Fujiko 103.1 FM): another perfect groovy production from Cold Busted!! Marc dB / Iron Horse (Die Trying Records / Pawn Shop Records): Slick party tracks! DJ Doubles (Freestyle Fusion - weekly radio show on Urgent FM): wicked ! geniously sliced up funk à la carte. Hippie Torrales (Cyberjamz Radio / What Is Hip): Interesting EP. Deadbeat Disco Radio Show (Monthly on WestRadio, Deepvibes UK, Safari Radio, Tunnel FM, Ibiza Sonica & more / Distrikt (Leeds)): All really nicely done here & some cracking funk/soul influences; Universal Law & the laid-back That Smile stand out, but a great collection all round. Linos Pascal (Linos On Canvas radio show - weekly on Republic 100.3 FM (Thessaloniki)): great album!support from Greece! Leo Zero (Faith / Soulsonic / Sundaysonic): right up my street for funkier sets. Sven Thomschke (Dr. Best) (Radio Z ('Headz' & 'Limbo Rhythm' shows) / Club: 'Rockit! '): nice downtempo blends! Lebrosk (Mixmag (Breaks Column) / Ramp Shows Blog / Warriorz): Funky !!! Ket Shah (Mucho Soul) (Mucho Soul / weekly radio show on Back2Back FM): I Think You Do and Soul Sisters getting down remind me of my Youth!!! Tom Burclay (Compost Records / Play.FM): Massive collection! Will play a lot, thx! Found Sounds (DJ Magazine (reviewer) / Notion): Standard warm up fodder. Frank McWeeny (D.I.Y. Radio / French Radio London / Shoreditch Radio): BIG!! DJ Ricardo (Inside Out Magazine / Farris Wheel / Gourmand Music / Frequency Spectrum / Herbal Essence): great stuff!!! DJ Nartak (Nightflight & Klassik Lounge - radio show on Klassik Radio + Sceen.FM ("Schlaflos..." show)): turn your lamp down low - yesss baby! Raúl Alonso (.RauSlow.) (Alma Soul Music / Alma Dreams (radio show + podcast) / Ibiza Global Radio): Track 03 for me, I will play it on Alma Dreams Radio Show. Thanks! Herbert Bachhofer (Shantisan) (Salted Soul / One Note Samba Radio Show on superfly.fm): Pure listening pleasure! Alejandro Ramirez (Stereo 77) (Plimsoll Records / UrbanWorld Records): Heavy beats! Love it. Eric Smith (The Soulgrab Radio Show (weekly on MyHouseYourHouse) / Soulgrab Records): Solid Down Tempo release. Favourite track is I Think You Do, with Turn Your Lamp Down Low a close second. I've been wanting to do a downtempo show for a while. I'll support and play these on the show. Thanks! DJ Bonehead (93.5 KNCE www.truetaosradio.com): Full support! Adrian Lugo (RPM DIrector) (WEFT 90.1 FM (Champaign, IL)): Quality beats! DJ Massivefunk (Pig Balls Records / 4MidiLoop Traktor Controller / Funky Bombs): Love it... high quality stuff!!! Jeannie Hopper (WBAI FM (New York) / Art Radio WPS1 / APT / Cielo): sweet! Sean Cantos (DJ Cantos) (Sunday Jumpoff on Deep House Lounge Radio / Selekta / LTHM / Mizumo Music): sick sample! Johnny Luv (Across The Board Radio Show - weekly on KANE.FM (103.7FM)): nice selection of beats !!!.. Kanefm.com ..... will be supporting !!.. Trio (Bocca Grande) (Rebirth / Four Roses / Mathematics): Great works!I like all of them! DJ Firefly (WRCT 88.3 FM (Pittsburgh, PA)): Great variety of jams here - so hard to pick just one favorite! It's going to be a very funky new year! Matthew Romero (RPM Director) (KSCU 103.3 FM - Santa Clara, CA): sounds like hip hop that wouldn't make it to commercial radio which works for me cuz this is the good stuff. Richard E (Further Out Recordings): Big, fat, funky and soulful! Great modern club music that honours those who went before... looking forward to playing these out. Piiit (Septante Sept / So Watt): Funny pitch voice and groovy vibes. Excellent mix! Ezequiel Lodeiro (Soulfood Buenos Aires): Bombs! Matt Sonzala (Radio KAOS (Pushermania's Playlist Radio Show)): Dope stuff! Antwerpen is such a musical and cultural mecca. I love this! Dima Studitsky (Headz.FM / Compost / Sonar Kollektiv / King Street Sounds): great ! love it !!!! Graham Mandroules (Catalyst Recordings): Fantastic release. I'll give every track repeated spins. Tonio Epstein (RPM Director) (WGDR 91.1 FM / WGDH 91.7 FM (Vermont)): And Universal Law, too. Great stuff. DJ Chewy (Alphabeatsoup (music blog)): great production...1st track is a banger! DJ Jazzy L (Jazzy Lounge Radio (Live365) / WNUR FM): Oh, "I Think You Do" is SUPER FUNKY! Love it! Very good album overall. 4.5 stars out of 5! DJ BMF (Eighth Dimension / Phat N' Jazzy): Like the vibe here. Jazzy bangers. Jesse De La Peña (Vocalo.org 89.5 & 90.7FM (music programmer) / WBEZ 91.5 FM): Nice groove! Laurent N. (12 Monthly Radio Shows: Nice 102.3 FM, House Nation Radio, Westradio.gr, Buddha-Bar Podcast): Super Ep & Stuff. Will play & ALL MY SUPPORT !!! Raoul Lambert (We Play House Recordings): I know you got soul! This has the right vibes for me!! Mr. Goju (Migrations Radio Show (weekly, syndicated)): Excellent! Zack Hill (VinylTribe LA / TribeRadio Podcast / $5DollahFunk$): Funky biz here! Feel I'm Going Down is hot! Lemar Soulflower (Soul Deep NYC / WFMU): Super solid beat affair and every song is a winner. Catchy head nod beats with a flair for the psychedelic. Right up my alley! James Canning (Respect Music): Hell Yeah! Funk It Up! Brewster Brigham (Kiss FM - Hip Replacement Show (weekly)): cool as it gets !!! DJ Morpheus (Lysergic Factory radio show / Radio Campus 92.1 FM): i like turn your lamp down low, universal law and that smile best... good ones!